Ma toute première voiture, increvable, elle roule toujours. 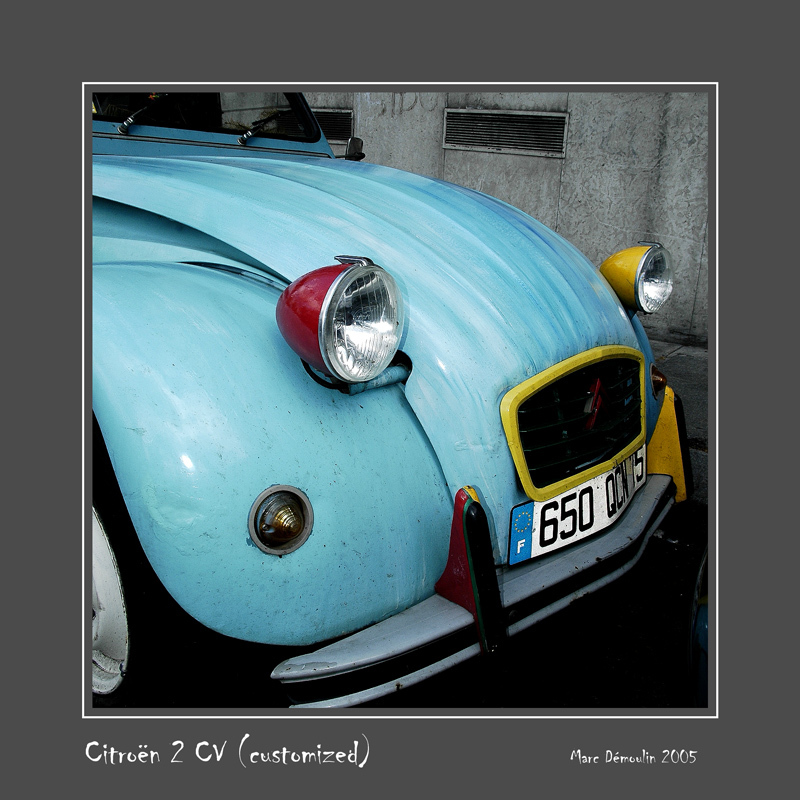 Once upon a time, when I was a student (Late 70's & early 80's) I used to have a friend who had a 2cv. Looks weird with its different coloured lights.